American law evolved from the British common law, which, since time immemorial, has recognized certain basic principles of fairness. Among these principles is the doctrine of laches—the notion that a claimant must pursue a legal remedy within a reasonable length of time or lose the claim forever. It is not fair, as the courts sometimes put it, for aggrieved parties to “sleep on their rights” and then file a lawsuit long after a claim has grown stale, when memories and witnesses may have faded away and critical documents may have been lost (Garner, 2009). In most American states, the principle of laches has been codified in statutes of limitation—laws that give claimants a specific time limit for filing a lawsuit. If the claimant fails to file within the time limit, the claimant irrevocably loses the right to seek a court remedy. The first statutes of limitation were adopted in the early thirteenth century, during the reign of King Henry II (Mack, 2006). Unfortunately for student loan debtors, these ancient principles of fairness do not apply to student loans. In 1991, Congress passed 20 U.S.C. § 1091a, a statute that abolished all limitation periods that might otherwise apply against specified lenders and governmental agencies that seek to collect on student loans. As one scholar succinctly summarized the law, “[O]nce a student contracts for a student loan, the student cannot use a statute of limitations as a defense against collection on that loan by the entities listed in the statute—ever” (Roper, 2005, p. 37, emphasis supplied). This harsh federal law was recently applied in a case against Anthony Fabrizio, who borrowed about $9,000 in the early 1970s to help pay for his postsecondary education (New York State Higher Education Services Corporation v. Fabrizio, 2010). Apparently, Fabrizio did not pay back the money, and the lender obtained a default judgment against him in 1983 for about $9,600. In 2008, twenty-five years after the debt had been reduced to judgment, the New York State Higher Education Services Corporation, which (through a predecessor agency) had guaranteed Fabrizio’s loan, told Fabrizio to begin paying off the debt or the agency would start garnishing his wages. Fabrizio tried to persuade a New York court to enter an order declaring that his debt was deemed paid under a New York law stating that a money judgment is presumed to have been paid after 20 years from when the creditor was first entitled to enforce it. Unhappily for Mr. Fabrizio, a New York appellate court ruled against him, finding that 20 U.S.C. § 1091a, abolishing all statutes of limitation that might otherwise protect a defaulted student-loan debtor, overrode the New York statute of limitation. Fabrizio can still be made to pay back the loan. Presumably, he is also liable for collection fees and more than 30 years of accumulated interest. Today, there are millions of people who have defaulted on their student loans, and some of those loans are now quite old. Nevertheless, student-loan defaulters are never off the hook for their debt--no matter how old that debt might be. First, as the Fabrizio case illustrates, statutes of limitation do not apply to student-loan debts that are guaranteed by the federal government, and a lender can pursue collection at any time, even if the lender took no action for a quarter of a century. Second, unlike most other overburdened debtors, student-loan debtors cannot discharge student loans in bankruptcy unless they can show that failure to discharge their student loans will cause them “undue hardship” (11. U.S.C. § 523(a)(8)(B)). 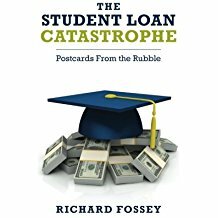 As several scholars have observed, it is very difficult for student-loan debtors to discharge their student loans in bankruptcy--even in heart-rending circumstances (Pardo & Lacey, 2009). Third, student-loan debtors who fail to repay their loans can have their Social Security checks garnished, a practice that the Supreme Court approved in the 2005 decision of Lockhart v. United States. People who took out student loans in their early twenties and never paid them back can see their Social Security income diminished by their failure to discharge their student-loan obligations (Cloud, 2006). The Higher Education Act of 1965, which authorized the federal student loan program, was passed “to keep the college door open to all students of ability, regardless of socioeconomic background” (Chae v. SLM Corporation, 2010, p. 938, internal citations omitted). And for millions of people, the federal student loan program achieved its idealistic purpose. But for millions of others, the federal student loan program has become a nightmare. Over the years, Congress has passed harsh legislation that has stripped student-loan debtors of traditional legal protections like statutes of limitation and unfettered access to the bankruptcy courts. As a result, for individuals who default on their student loans, even those who took out their loans in good faith, the famous passage from Dante seems chillingly appropriate: “Abandon hope, all ye who enter here.” Those old student loans--taken out in the halcyon days of youth when higher education seemed to hold so much promise for a bright and happy future--have become bitter burdens for thousands upon thousands of people--burdens they will carry to the very brink of their graves. Chae v. SLM Corporation, 593 F.3d 936 (9th Cir. 2010). Cloud, R.C. (2006). Offsetting Social Security benefits to repay student loans: Pay us now or pay us later, Education Law Reporter, 208, 11-21. Garner, B. A. (Ed.). (9th ed. 2009). Black’s Law Dictionary. St. Paul, Minn.: West Publishing Company. Mack, J. (2006). Nullum Tempus: Governmental immunity to statutes of limitation, laches, and statutes of repose. Defense Counsel Journal, 73, 180-196. New York Higher Education Services Corporation v. Fabrizio, 900 N.Y.S.2d (A.D. 3 Dept. 2010). Pardo, R. I., & Lacey, M. R. (2009). The real student-loan scandal: Undue hardship discharge litigation. American Bankruptcy Law Journal, 83, 179-235. Roper, G. E. (2005). Eternal student loan liability: Who can sue under 20 U.S.C. 1091a? Brigham Young University Journal of Public Law, 20, 35-78. Obviously you settle on uneducated choices when choosing to take an understudy advance.do my homework for me In the event that you were taught then, by definition, you shouldn't require an instructive credit. All things considered, unless you would graduate school or a degree in an alternate field.